Treat yourself to a gym with child care and facilities that seem like a mini-resort. Several of our Sacramento area gyms feature separate kid-friendly pools where the depths are consistent, so you don't have to worry that the kiddos will suddenly step off into water over their heads. The beach-entry pools allow you to gently wade in with your toddler, or set up a lounge chair right in the water! Summer days will fly by without a single worry about what to do with the kids while they're out of school. Why take a two-hour trip to the ocean when you have a safe, clean beach practically in your own backyard? Your Cal Fit membership gives you access to twelve local gyms with pools, including adult lap and rec pools. These mini water parks feature fun, colorful pieces of equipment that continuously spray water from different directions. It's the perfect way to get your little ones playing outdoors on a hot summer day. Imagine bringing your kids home happy, exhausted, and ready to go to bed without complaint. The spray gardens aren't a bad option for tired, sweaty parents, either! Cool down and relax in one of many comfortable lounge chairs while keeping an eye on the kids. 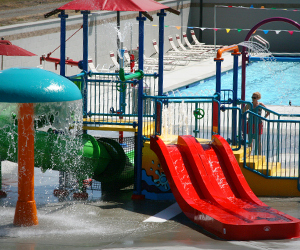 Children's pools and spray gardens are seasonal and heated to around 78-80 degrees from April - October. During the off season, there will be limited use. Hours of operation vary, so please check with your local club. There are no lifeguards on duty; all members must follow the rules posted in the pool area. Children under 6 must have an adult in the water with them at all times. Spray garden ruls are the same as pool rules. It's a good idea for kids to start learning how to swim at a young age, so they'll be safe when playing in the water. Plus, it's a fun summer activity for kids that may be become a healthy way to work out later in life! We have lessons for all ages and abilities, including swim lessons for kids, toddler swimming lessons, and swimming lessons for babies. 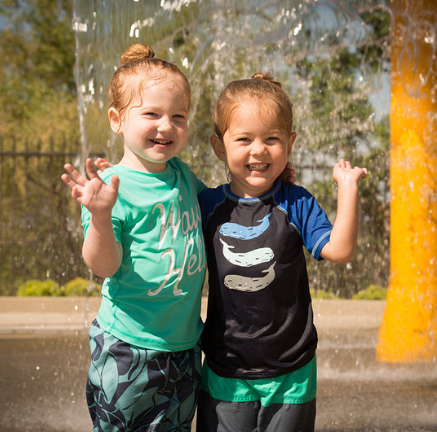 Swim Lessons are available at the following locations: Carmichael, Citrus Heights, Elk Grove, Folsom, Laguna, Natomas, Orangevale, Rocklin and Rancho Cordova. 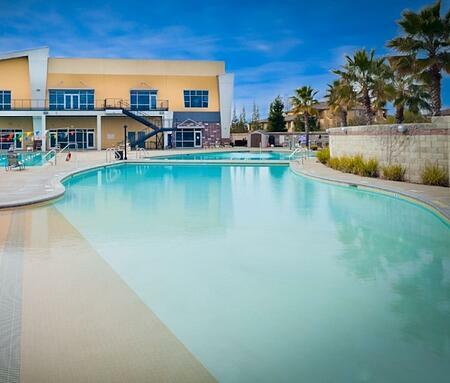 “You have made a fitness center feel like it is a resort for families that like to exercise."